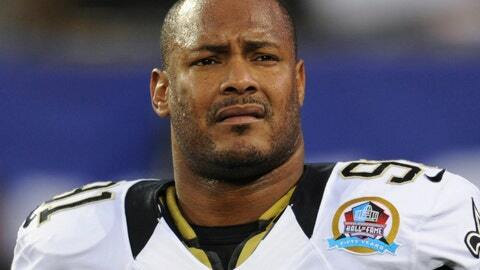 NEW ORLEANS (AP) — A defense attorney for the man convicted of killing retired New Orleans Saints star Will Smith in 2016 has told a Louisiana appellate court that his client deserves a new trial, in part because of evidence that surfaced after trial that he said lends credibility to Cardell Hayes’ self-defense assertion. Hayes’ appeal attorney, Paul Barker, told three 4th Circuit Court of Appeal judges Wednesday that New Orleans prosecutors failed to disprove that Hayes acted in self-defense. Hayes is serving a 25-year sentence for manslaughter in Smith’s death and attempted manslaughter in the wounding of Smith’s wife during a confrontation following a traffic collision in April 2016. Hayes insisted at trial that he fired after a drunk, angry Smith retrieved a gun from his car and fired first. Barker said none of a host of witnesses had a clear view of everything that happened amid the tumult following the accident in New Orleans’ Lower Garden District. Assistant District Attorney Kyle Daly countered that Hayes was alone among witnesses in saying Smith brandished a gun or fired it. A semi-automatic handgun was found loaded but unused in Smith’s car. And while Barker said gunfire residue on Smith’s body raises doubt that he never fired, Daly said it was consistent with being shot at close-range with a larger weapon. It was unclear when the three-judge appellate panel would rule. Barker argued that trial judge Camille Buras should have granted a new trial because a witness who contacted the defense a day after Hayes’ conviction said he had heard two gun fire from two weapons at the time of the shooting. The witness, military veteran Michael Burnside, delivered rambling and at times profane testimony at a post-trial hearing last year. Daly argued that he wasn’t credible. Burnside lived blocks from the shooting scene and, Daly argued, his testimony indicated a series of shots fired at a slower rate than the rapid-fire shooting Hayes had described. Parker also contends the trial judge should have allowed testimony about Smith’s 2010 arrest on a domestic abuse charge after former Saint Deuce McAllister spoke of Smith’s sterling reputation among his teammates and friends. Smith was arrested outside a southwest Louisiana bar in 2011 on misdemeanor charges of domestic abuse battery and public intoxication. Lafayette Parish prosecutors dropped the charges in 2012 after Smith completed community service and participated in counseling. Hayes was 29 when he was convicted in December 2016. He owned a tow-truck business, had played semi-pro football and is the father of a young son.